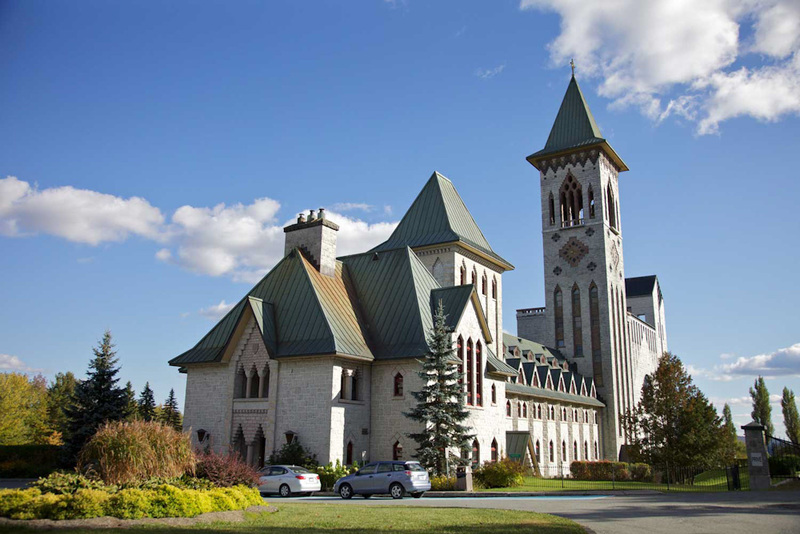 Saint Benedict Abbey in the Eastern Townships region of Québec (photo: Asymetric Finn O'Hara). Casino de Montréal features restaurants, bars and shows. 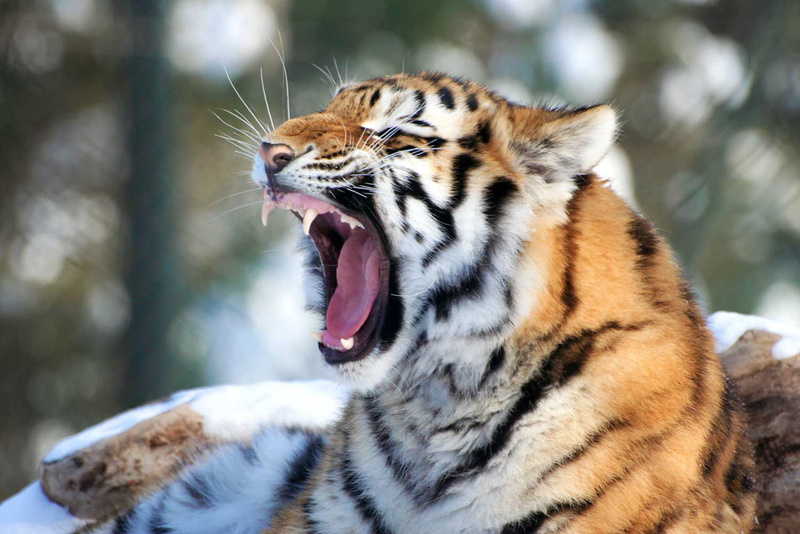 Yawning tiger flashing his sharp canines in Montreal's Granby Zoo (photo: Karine Flick). 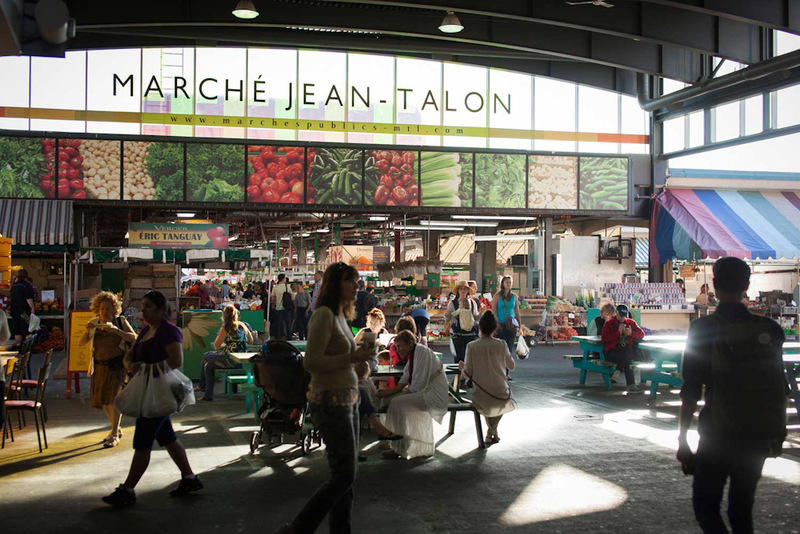 Jean Talon is an open air farmers' market running from May to October in Montreal (photo: Fitz & Follwell Co). Thrill-seekers taking a whitewater jet boat ride down the five-kilometre-long Lachine Rapids in Montreal (photo: Montreal Tourism). Located on Saint Helen's Island, La Ronde theme park holds the record for the highest double-tracked roller-coaster in the world, perfect for the family (photo: MB one Wikicommons). The wrought-iron staircases lining the streets of The Plateau in Montreal (photo: Canadian Tourism). The crowd enjoying the Festival International de Jazz (photo: Jean F Leblanc). 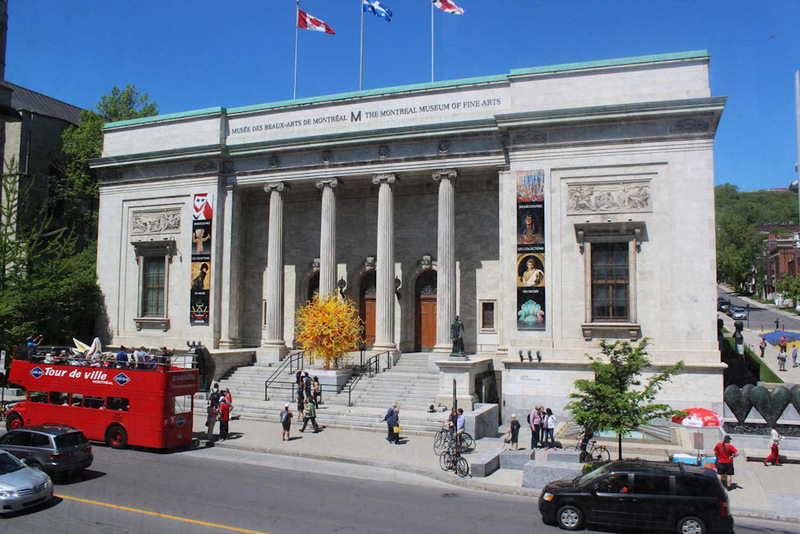 The entrance of the Montreal Museum of Fine arts (photo: Shinya Suzuki Flickr). 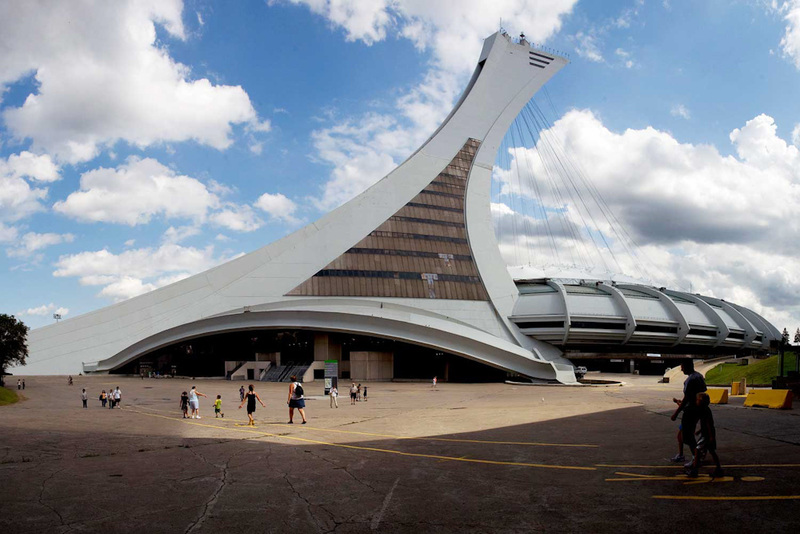 Montreal Olympic Stadium is the tallest slanted structure in the world (photo: JGreenberg Flickr). 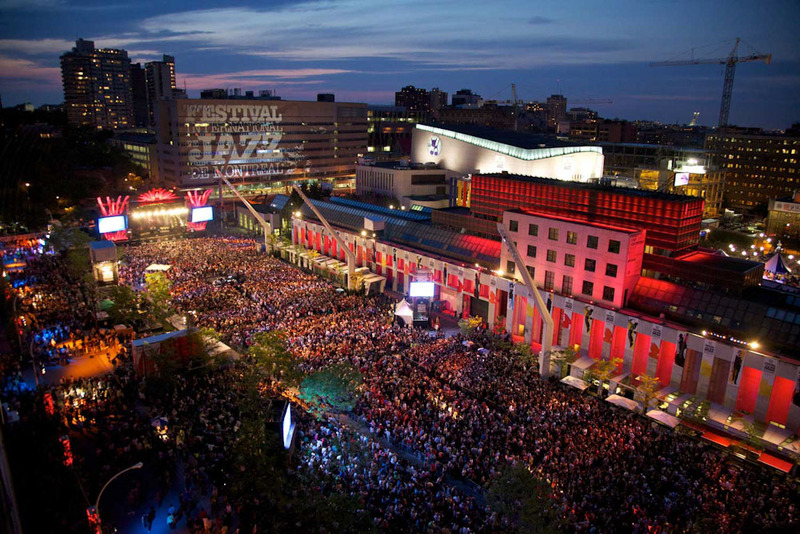 Montreal's Quartier des Spectacles is home to the enormous Place des Arts outdoor plaza (photo: Canadian Tourism). 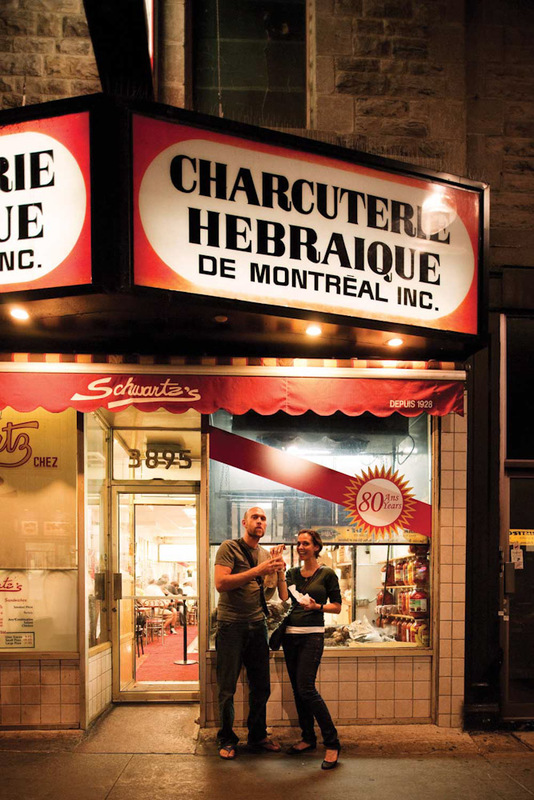 Chowing down on the signature smoked-meat-on-rye sandwich from Schwartz's Deli in Montreal (photo: Canadian Tourism). 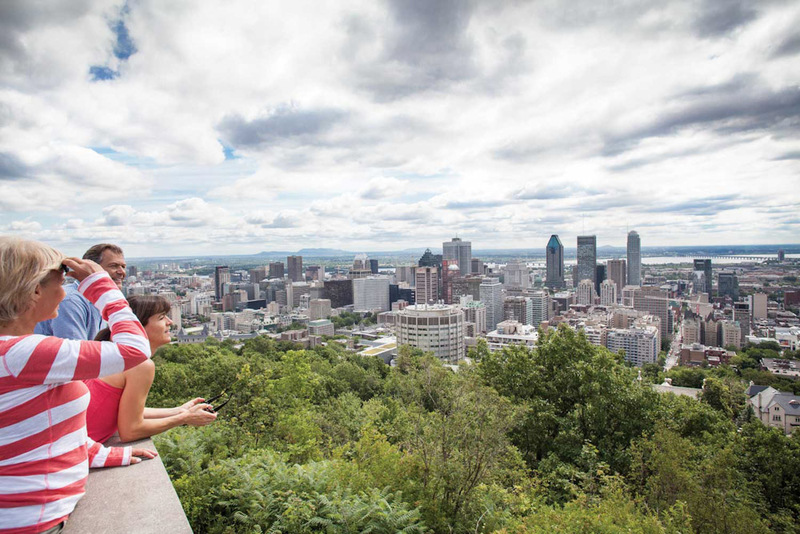 Catch a spectacular view of the city from the top of Mont Royal in Montreal (photo: Canadian Tourism). The world’s second-largest French-speaking city is No. 1 when it comes to fun, thanks to vibrant club and dining scenes, and its well-earned status as the City of Festivals; this is your Undiscovered Montreal City Guide. By Adam Bisby. Touring Old Montreal is the next best thing to a European holiday. Chic boutiques, charming bistros and mimes galore? Check, check and check. Then again, no city in Europe, or anywhere for that matter, can match the annual Festival International de Jazz, which sees 3,000-plus artists and more than two million visitors converge on Montreal for a 10-day party. The city is also justifiably famous for its namesake foods – Montreal smoked meat and Montreal bagels – as well as for the wild nightlife of Saint Catherine Street, Crescent Street and the gregarious Gay Village. It’s hardly surprising that visitors often bypass The Underground City (officially the RÉSO). After all, who would expect to find 41 city blocks of shopping, entertainment and culture under their feet? With 32 kilometres of tunnels connecting 2,000-plus shops, 40 cinemas, eight Metro stations, five museums and more than a dozen hotels, it’s the largest underground concourse in the world, and this being bohemian Montreal, the labyrinth even plays host to temporary art installations during the annual Arts Souterrain festival each February. Farmers’ markets are such an integral part of Montreal life that they tend to be tucked away from the tourist circuit. Such is the case with the biggest of them all: Jean Talon. From May to October its open-air arcades are occupied by more than 300 vendors, most of whom have come from the Quebec countryside. Butcher shops, cheesemongers, bakeries and other food emporia radiate out from the market itself. You know you’re in for something special when a city’s most prominent feature is mostly parkland. The 233-metre-tall green bump in the middle of Montreal is actually home to a pair of parks, two historic belvederes, and plazas that afford excellent views. The city’s port area was first settled more than 350 years ago, and this historic feel remains thanks to meandering cobblestone streets, elegant stone buildings – chief among them the sublime Notre-Dame Basilica – and European-style squares lined with boutiques, restaurants and bistros. Rising above it all is the eye-catching silver dome of the rejuvenated Bonsecours Market, while the repurposed quays jutting into the Saint Lawrence River are home to attractions like the family-friendly Montreal Science Centre. There’s little or no ambience in this Saint-Laurent Boulevard institution, the service is brusque, and you’ll likely have to wait for a table. A city as hedonistic as Montreal needs plenty of places to recuperate, which may explain the profusion of opulent day spas. Tucked away on the bucolic Île-des-Soeurs, the Nordic-inspired Strom Spa calls itself “Montreal’s only nature spa”, where thermal treatments incorporate a circuit of outdoor whirlpools, baths and waterfalls, Finnish saunas, a eucalyptus steam bath, and outdoor relaxation areas with fireplaces. There’s also a full range of body and facial treatments, and massages that take place either in the main building’s stylish quarters or in a series of airy cabanas that cascade down a boardwalk towards the lake. Montrealers bleed “bleu, blanc et rouge”, the colours of the Montreal Canadiens ice hockey team. The winningest NHL squad of all time plays home games in the Bell Centre, which is among the league’s rowdiest spots – brace yourself for deafening chants of “Olaaay! Olé-Olé-Olaaay!” when the home team is on top. 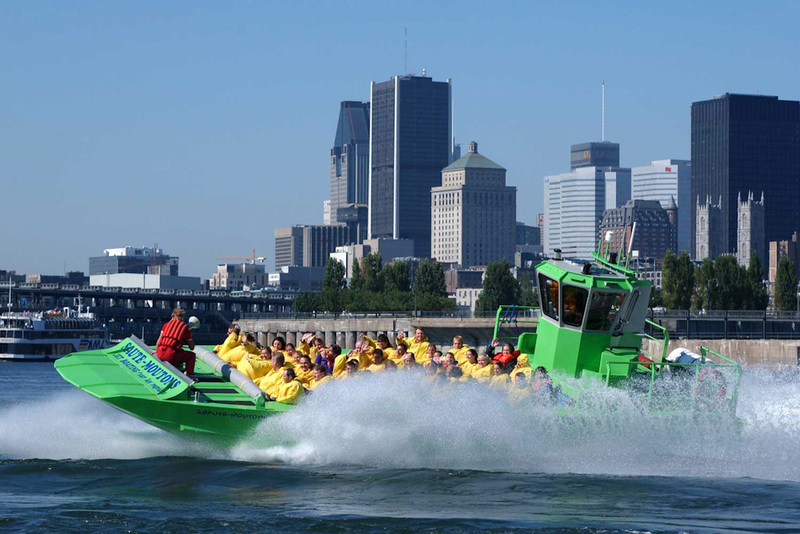 The five-kilometre-long Lachine Rapids south of downtown provide an ideal venue for whitewater jet boat tours. Several tour operators based in the Old Port offer hour-long excursions that include waterproof ponchos to keep you partly dry (as you will encounter plenty of water). A more recent arrival to the Old Port area, MTL Zipline lets visitors fly over the historic quarter or experience a thrilling freefall on its Quick-Jump attraction. 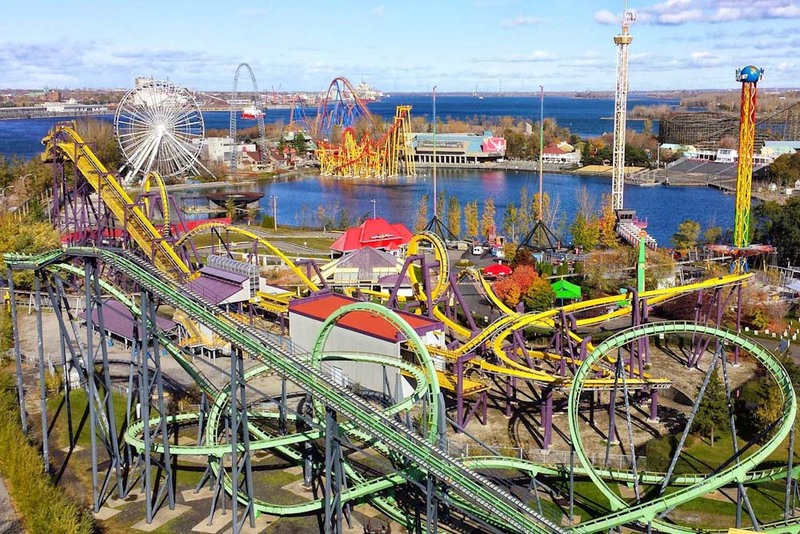 Open from mid-May to late October on the northern tip of Saint Helen’s Island, La Ronde is Canada’s second-largest theme park. More than 40 rides include 10 rollercoasters, with Le Monstre holding the record for the highest double-tracked rollercoaster in the world. To celebrate Halloween on October 31, La Ronde’s ‘Fright Fest’ includes four elaborate haunted houses filled with frightening performers. Move over, Leaning Tower of Pisa: As the tallest slanted structure in the world, the roof-retracting tower of Olympic Stadium provides a unique vantage point from which to admire views of the city. 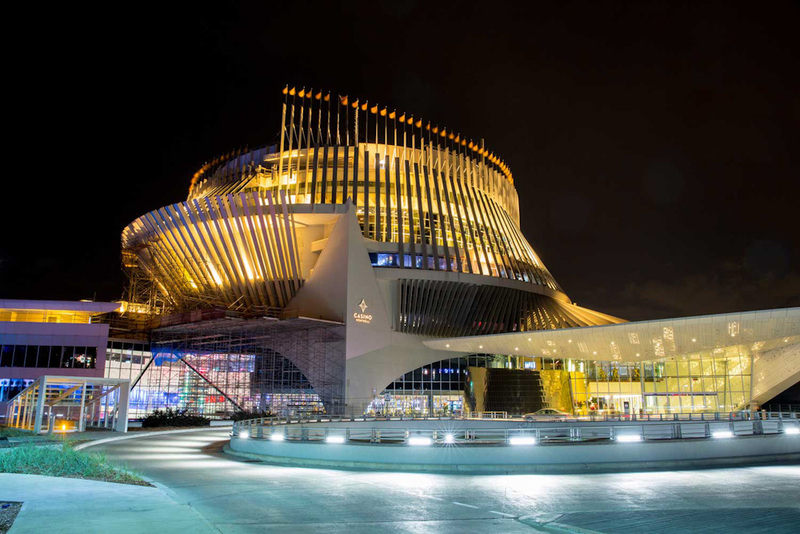 Kids will love the ride up in a glass-encased funicular – it’s very Charlie and the Chocolate Factory – while surrounding attractions such as the Biodome and Planetarium explore the wonders of nature and astronomy. 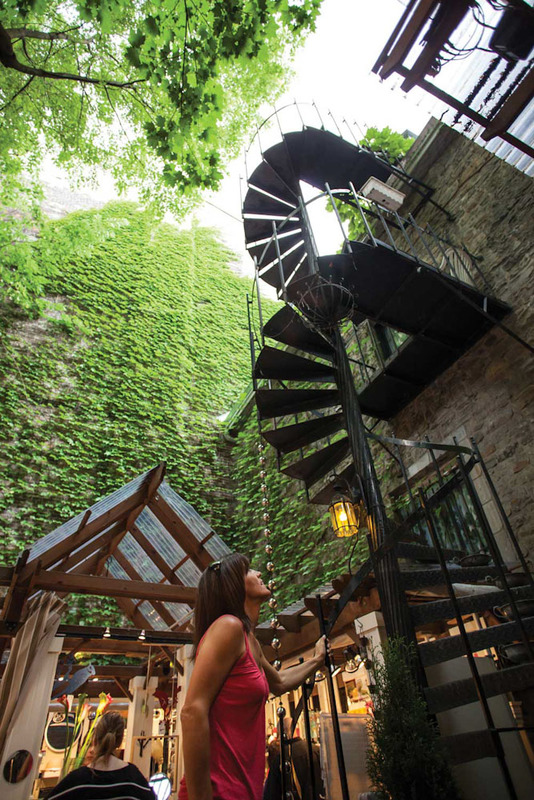 The northern slopes of Mont Royal soon give way to The Plateau, a lively, art-driven district that’s as famous for the wrought-iron staircases lining its streets as it is for endless edgy boutiques and non-stop nightlife. The main thoroughfares of Saint-Laurent Boulevard (or ‘the Main’), Saint-Denis Street and pedestrian Prince Arthur Street combine to offer every urban diversion you could ask for, from bring-your-own-wine bistros and microbreweries to buzzing clubs and shops selling everything from Scandinavian housewares to free-range honey. This recently revitalised Quartier des Spectacles is home to the enormous Place des Arts outdoor plaza, where everything from opera, rock concerts and live comedy is staged. 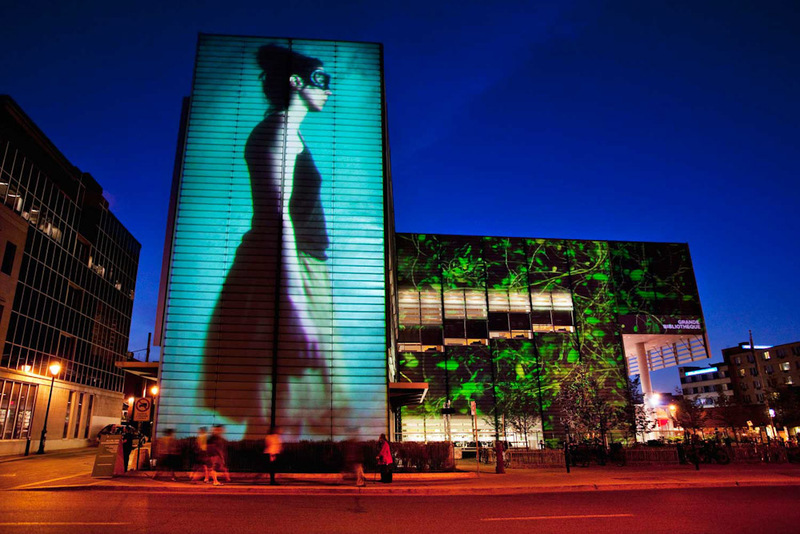 There’s also the Montreal Museum of Fine Arts, which features a 40,000-work permanent collection including furniture, silverware, textiles and ceramics; and the Promenade des Artistes, where room-sized glass boxes house temporary art installations. The Casino de Montréal is much more than a gaming hot spot. Originally built to house the French and Quebec pavilions at Expo 67, the casino now includes a risque cabaret that doubles as a live music venue and discotheque. There’s more to the world’s largest music festival than sheer enormity. Size does matter, of course, and with 3,000-plus artists, more than 650 concerts and at least two million visitors showing up in late June, the 10-day Festival International de Jazz has definitely earned its Guinness record (read more about the festival here). Ever since soul legend Ray Charles headlined the first edition back in 1980, Montreal has been the blueprint for jazz festivals that are about more than jazz. Plus, it may offer some of the best value on the planet, as more than two-thirds of the shows are free of charge. Earlier in June, the lively and amply terraced Crescent Street strip hosts the Grand Prix Festival the week before the Formula One Canadian Grand Prix. The event features free outdoor concerts, scores of street vendors, and auto-racing displays by the F1 teams. Just like much of Eastern Canada’s rustic cottage country, the Eastern Townships region southeast of Montreal has lovely lakes, verdant hills and charming villages. Why, then, is it so sophisticated? It could be that well-heeled Montrealers, many of whom snapped up vacation homes here in the early 20th century, helped fuel an influx of fine bistros and boutiques in towns like Knowlton, Sutton and Cowansville. It certainly hasn’t hurt that several vineyards have spring up in the region – spawning an 18-stop wine route – or that attractions such as the world-class Granby Zoo and spectacular Coaticook Gorge suspension bridge have proven so popular. Toque! : This Old Montreal eatery specialising in Québécois dishes was recently named the best in the land by Canada’s 100 Best Restaurants magazine. Luxury: Hotel Le Germain Montreal: This textbook boutique hotel in the heart of downtown does the Quebec-based luxury chain proud. Family: Hotel Quartier Des Spectacles: This well-situated newcomer offers family-friendly studio apartments with kitchens. Comfortable: Auberge les Bons Matins: Victorian elegance meets homey comfort in this B&B-style option. Budget: Hotel Casa Bella: Stay in a pretty street downtown and enjoy wallet-friendly digs up the wrought-iron staircase.